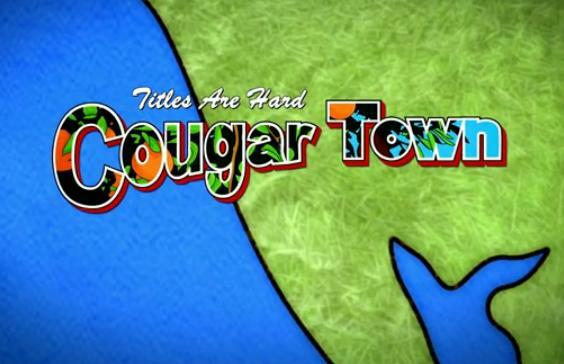 Quick Thoughts: COUGAR TOWN, "Walls"
Man, it feels like Cougar Town has been gone forever! I'm glad that ABC decided to give the show a post-Dancing with the Stars to hopefully remind people that it's back or to get some more eyes. While it was good to have the show back, "Walls" was far from a home run. In a lot of ways, "Walls" was the show at its best and its worst. Let's start with the good stuff. Everything that involved Bobby, Laurie, and the rest of the Cul De Sac Crew not named Jules was hilarious and reminded me what I love about this show. The jokes, the camaraderie , the joys of Penny Can, "slap out of it", all brought a smile to my face and big laughs to my belly. For my money, this cast (minus Courteney Cox) is the best on TV, and you just need to listen to Laurie's Penny Can commercial for proof. Good stuff. As you can tell, I'm not a fan of Cox's Jules, and maybe it's because I was watching "Cry for Me" (an example of the character at her absolute worst) before the new episode, but I really could not stand her smothering shtick tonight. She was so annoying that I was tempted to change the channel every time she showed up on my TV. I don't even see how this character can be redeemed because even if she backs off of Travis, you just know she's going to amp up her neediness around Grayson which is even worse. The only bright spot was Ellie putting Jules in her place once and for all. Let's just hope the lesson sticks. So, after two and a half months, Cougar Town still brought its A-game, which was encouraging, but the show still has some room for improvement. I don't need for Jules to be perfect because that would be boring, but the writers just need to make her palatable and sane every once in a while to keep me around. Or they can just get rid of her and make the show about the rest of the Crew. I'd be down for that.